Google Glass Enterprise Edition is now available to more businesses through its network of development partners, but does it really work as a collaboration and productivity tool? After working for two years on an enterprise version of its smart glasses -- Glass Enterprise Edition -- Google says its head-mounted display is now "fully available" for business use. There's still no way to buy the device online, and the question remains whether businesses can benefit from using Glass as a collaboration and workflow tool. 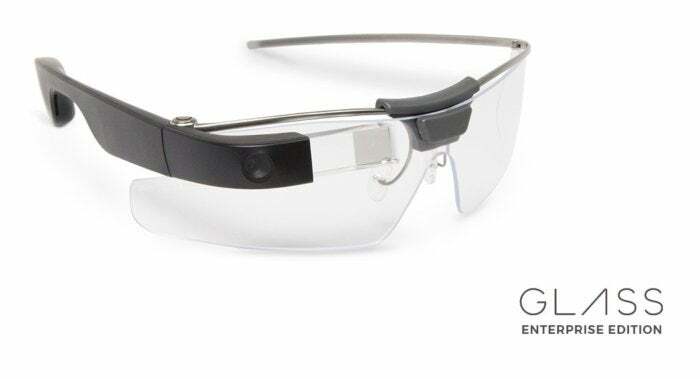 Glass Project Lead Jay Kothari wrote in a blog post July 18 that Google Glass Enterprise Edition had evolved from a two-year limited program to being available now to more businesses through a network of development partners, such as EyeSucceed or Proceedix. Google's development partners create applications for specific industries, such as manufacturing, aerospace and healthcare. Google is pitching Glass as a tool that can ease workflows by helping employees remain engaged and focused on tasks by removing distractions. Saying "OK Glass," for example, can activate an application. 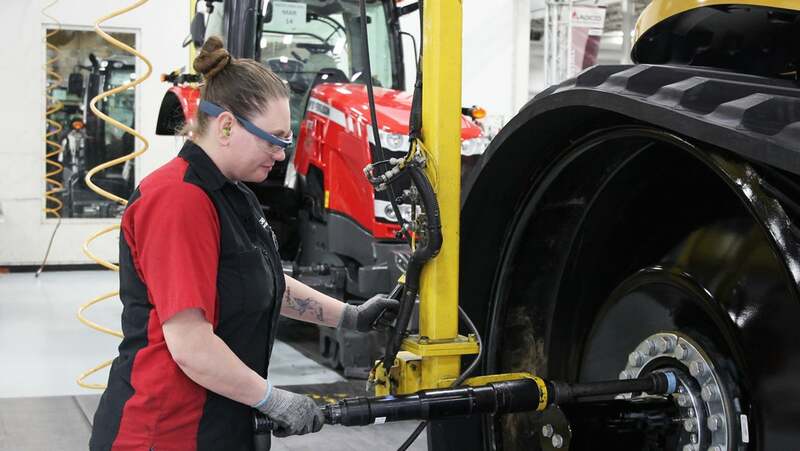 Heather Erickson, an engine assembler for agricultural machine maker AGCO, uses Google Glass on an assembly line. Google partner Proceedix offers a software-as-a-service-based platform to manage enterprise procedures, work instructions and inspections; with its software, operators can execute work instructions and inspection work flows through smart eyewear like Glass. Beginning in 2014, TEXT Duke Energy began piloting the use of piloted smart glasses from more than a half dozen companies, including Vuzix, Golden-I by Kopin and Atheer Air, and Recon Jet The company had hoped to test Google Glass, but they'd recently discontinued offering them directly. Even so, Duke sees several convincing use cases for smart glasses. "Over the next three to five years, we're adding them to our enterprise solutions," said Aleksandar Vukojevic, the technology development manager for the Emerging Technologies Office at Duke Energy in Charlotte, N.C.
Vukojevic said smart glasses can enable employees working in the field to access training or instructional videos to help with equipment repairs or upgrades. The glasses also allow remote management, where managers capture what a line or transformer worker sees and then annotates images and video with instructions, sending them back out to workers in the field, "so they know exactly what you're talking about. "I can tell you there's a pretty big use case for remote assistance or live video or audio where you can have one person in the field and one person in the back office directing them," Vukojevic said. Duke also tried out the smart glasses in its warehouses for stock inventory; as a worker looks at an item code, it's automatically recorded against an existing database. Vukojevic, however, cautioned that there's still a long way to go before smart glasses will fit seamlessly in the energy industry. For example, smart glasses aren't necessarily designed with security in mind, so -- as with any mobile device -- locking down the data that's accessed is crucial. The sensors in the smart glasses are also not as accurate as point products, Vukojevic said. So a field worker using them to locate a breaker or other device might be off by 10 or 15 feet using Google's GPS instead of a military-grade solution more common to the energy industry; that technology can locate equipment to within one centimeter. Also, smart glasses don't necessarily allow safety glasses to be worn over them, and while Duke tested them against small, sample Excel spreadsheets, integrating them with their internal databases would be a far more difficult task. "Full-scale use would require the glasses to be connected to our internal network. Smart glasses are like smartphones and without the [integration] to internal content and the right applications, they're not useful," Vukojevic said. Then there's the issue of industry standards. For example, the energy industry uses the 61850 standard for electrical substation automation systems to be able to communicate with each other. Any new mobile device, including smart glasses, would have to comply with common information models used in specific electronic systems. Google said its Glass can also allow quality assurance checklists on assembly lines, and can enable physicians to bring up patient data and radiological images while staying engaged on a task. For example, emergency room doctors at Beth Israel Deaconess Medical Center in Boston piloted Glass to connect with information about patients without having to shift attention away from the person. Doctors at Dignity Health have been using Glass with an application from Augmedix called "a remote scribe" that allows them to continue looking at patients, listening as they talk, and asking questions, while note taking work is performed in the background. Glass can also be used to collaborate with coworkers by allowing others to see what you're seeing through a live video stream. That, in theory, enables troubleshooting assistance in real-time. More than 50 businesses, including AGCO, DHL, Dignity Health, NSF International, Sutter Health,The Boeing Company and Volkswagen, have been using Glass "to complete their work faster and more easily than before," Kothari wrote in the blog, calling it a "new chapter" for the device. Glass Enterprise Edition competes with other head-mounted displays, such as will Microsoft's HoloLens, which is also being marketed as a wearable for "developers and business customers." Staffing firm Robert Half Technology polled 2,300 CIOs last year on wearables and found 81% believed they would eventually find an enterprise use. According to the survey, 37% of the CIOs respondents believe wearables will be enabled for business use in three to five years; 24% said it will take five or more years; and 5% expected to see them in one to two years. Only 16% believed wearables would not become part of a corporate IT strategy. "I'm trying to put it into the context of your typical sales organization or staffing organization. And I don't know at this point if it's there," Johnson said. "We're trying to collaborate with tools like Skype for business and GoToMeeting. And, it is another level of that, so instead of just me trying to share a desktop or document with someone I could be holding it up in front of me and people could be seeing what I'm seeing or coaching me through documentation." From a development perspective, Johnson said he can see a head-mounted display's value because the wearer could draw a mockup on paper, and everyone in the virtual meeting could immediately see it. Wearables like Google Glass, however, also present a risk because they can track and record even more sensitive information than other mobile device applications, including what you're doing and seeing in real time. 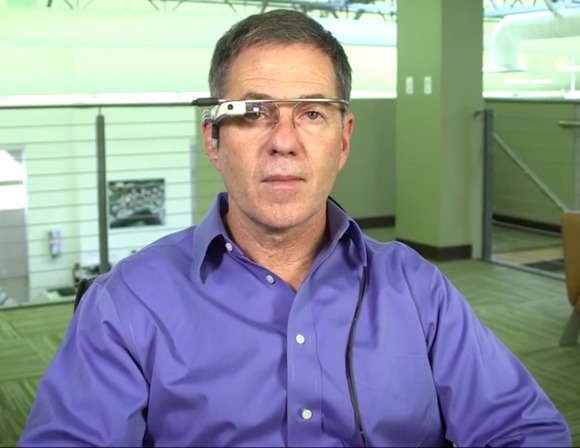 Eyefluence CEO Jim Marggraff sports a modified version of Google Glass that includes his company's eye-tracking technology. "There are data privacy issues to consider here," Johnson said. "You don't need that coming back at you that you're collecting employee sensitive data." Earlier this year, Forrester released a research paper on wearables that predicted a new level of maturity in the enterprise wearable arena this year, with fewer pilots and more deployments for smart glasses, virtual reality (VR), health monitors, and in other categories. In 2015, 22.8 million US workers held jobs that could benefit from smart glasses, according to Forrester. "Not all of these professionals will adopt wearables, but their companies have every incentive to deploy wearable technologies and business processes that create positive financial and/or customer service results for customers," Forrester said. Today, 62% of telecommunications decision-makers identify wearables as a critical, high, or moderate priority for their organizations, up from 52% in 2014, the report said. "While early 2017 will still see largely trial and pilot-based implementations, it's not hard to find real organizations creating value with wearables today," the Forrester report said. "And mid-2017 will see maturation and wider deployment in some sectors." From now through 2019, field technicians will start to adopt smart glasses at a fast clip, Forrester predicted, and by 2025 8% of the U.S. workforce will use smart glasses across 264 different job roles. Scientists at the NASA, for example, are using Microsoft's HoloLens to explore Mars: With mixed reality, they can use Mars Rover data to reconstruct the Martian surface in detail. "One NASA scientist told Forrester that he learned more in one week using HoloLens than he did in six months using two-dimensional images; as a geologist, he needed to understand the relationships between rocks and terrain," the report said. 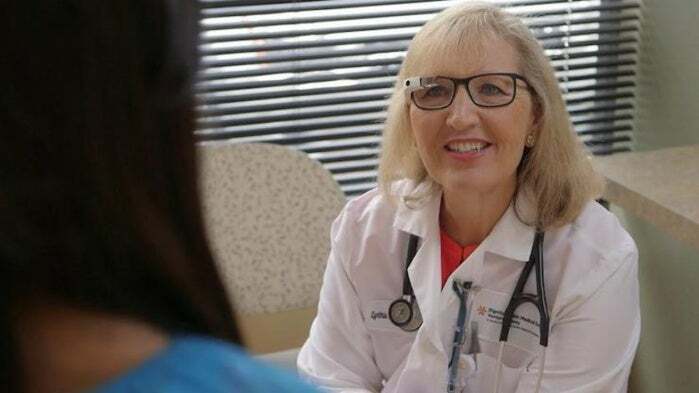 Smart glasses can also improve patient outcomes, according to Forrester. Software platform Pristine delivers telemedicine apps for smart glasses like Google Glass Enterprise Edition and Vuzix M100 ($999). "Doctors use the smart glasses and the Pristine application to train medical residents and consult with other medical specialists in real-time during surgery. This telemedicine solution helps doctors reach patients in rural or otherwise hard-to-reach locations, too," Forrester said.